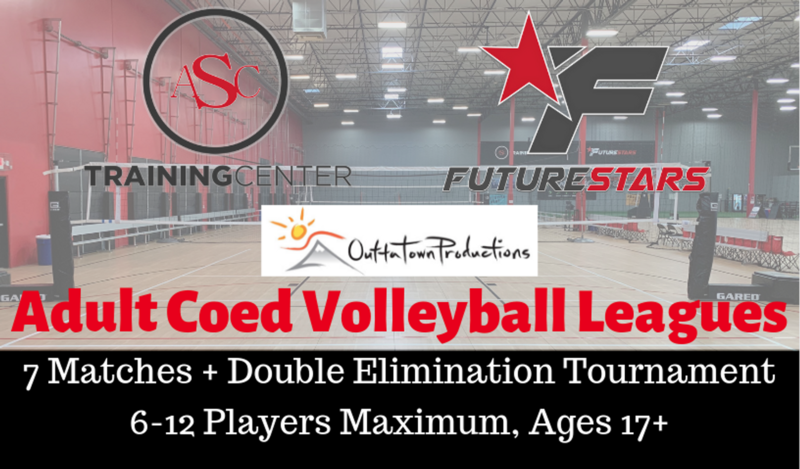 ASC Training Center – Home of Future Stars adult volleyball program is intended to provide a recreational atmosphere for those wishing to participate in non-competitive to competitive level of play. With several different skill level options, our adult volleyball program caters to players with all levels of experience. 7 matches over 7 weeks with double elimination tournament during Weeks 8 & 9 of the season. Matches are played as the best of 3 games scored rally style, the first 2 games are scored to 25, game 3 will be scored to 15. 6-12 players per team, roster lock Week 3. Must have minimum 2 females on court at all times. T-shirts are given for each division Champion. FREE AGENT PLAYERS Contact Brady@fsieusa.com to be added to a team. Call 623-326-4267 or email Brady@fsieusa.com for any questions or to register your team today! 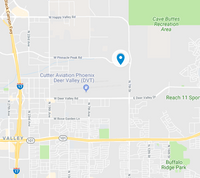 All participants must be active Arizona Sports Complex Members. Players must check-in to receive a wristband each week. Any non-rostered player caught playing, the team will forfeit. Teams are seeded based on their regular season record. The top 8 teams will play in the single elimination tournament. One loss and you're out, the last remaining team will be the league champion. What kind of shoes are allowed on the court? We ask that participants play with clean, athletic style shoes anytime they are on the court. ASC and Future Stars will provide the game ball, nets, and all other court supplies. We just ask that all teams wear matching jerseys/shirts. If your team does not have matching jerseys/shirts, we offer jerseys for sale in our front lobby. Let us know if you would like to place a team order of Future Stars branded jerseys. Rentals and parties- Rental and birthday party deposits are refundable up to 8 weeks prior to the event. Because we must plan for future activities around these rentals, if a rental is unable to fulfill their commitment then we run the risk of having the facility empty for that time the event was reserved. If a rental must cancel their event, with 8 weeks or more notice then a refund of the deposit will be given. If the event is cancelled after the 8 week mark prior to the event, no refund will be issued.